Identify the value and implications of using emerging technologies for personal and professional growth. 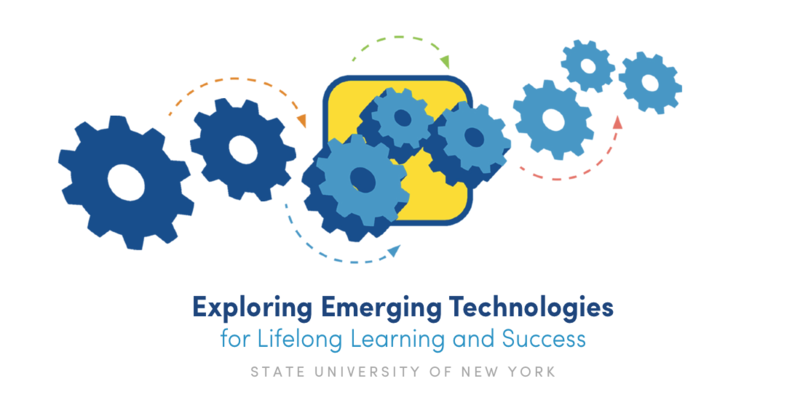 Gain strategies to develop lifelong learning habits and keep pace with technology change. This project consists of two parts; #EmTechMOOC and EmTechWIKI. #EmTechMOOC, hosted in Coursera, provides a supportive environment for dialogue and sharing among participants. EmTechWIKI is a socially-curated discovery engine for exploring technology tools, tutorials, and resources. and earn digital badges and a Coursera Certificate of Completion. Faculty – Explore freely-available tools to build learning activities into your courses. Students – Explore technology resources to support your learning. Everyone from across the globe – is welcome to participate to expand their knowledge! Enroll now to stay current in today’s rapidly changing world. 1-hour per week over 5-weeks. Start any time and learn at your own pace! SUNY faculty, staff, or students – earn your Coursera Certificate at no cost! before you click the “Enroll with SUNY Email” button.